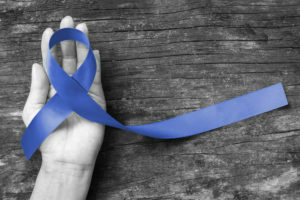 Colorectal cancer is the second most common cause of death among all forms of cancer in the United States, and the third most common form of cancer overall among both men and women. This year alone, there will be an estimated 135,000 cases diagnosed, with 50,000 of those expected to result in death. Approximately 4.7 percent of men and 4.4 percent of women are at risk of developing the condition, and survival rate over a five-year period is only 65 percent. Therefore, it was big news when a study published in the Journal of Nutrition indicated that following a Mediterranean diet could help to reduce the risk of colon cancer. Many studies have shown the Mediterranean diet, of which one of the staples is extra virgin olive oil, to be beneficial in reducing the risk of severe health conditions, including brain, breast, bladder, and prostate cancers. This latest study analyzed four diet quality indexes: the Healthy Eating Index (HEI) from 2010, the alternate Mediterranean Diet (aMED) score, the Alternative HEI 2010, and the Dietary Approaches to Stop Hypertension (DASH) Index. The study obtained data from the Multiethnic Cohort, which featured more than 215,000 participants from numerous ethnicities. 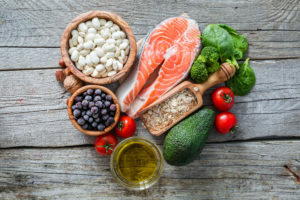 In the study, researchers found higher Mediterranean Diet scores were associated with lower mortality rates in colon cancer and lower mortality rates of all causes in women. The Mediterranean Diet was the only diet analyzed to be associated with improved rates of survival from colon cancer. Another study published in the British Journal of Cancer investigated the risk of colon cancer in Italy. Researchers analyzed information from several hospitals that included 3,745 colon cancer incidents to 6,804 controls. The results of the survey revealed an adherence to a Mediterranean diet had a 50 percent reduction of colon cancer risk. This is just more information that reveals the health benefits of extra virgin olive oil, a crucial component of this diet. For more information about the benefits of including extra virgin olive oil in your regular diet, contact us today at My Olive Tree.